Rick Fogle is pictured with his wife Joann, and their daughters. Ohio is fortunate to be home to many outstanding leaders who work selflessly to make a difference in the pork industry. 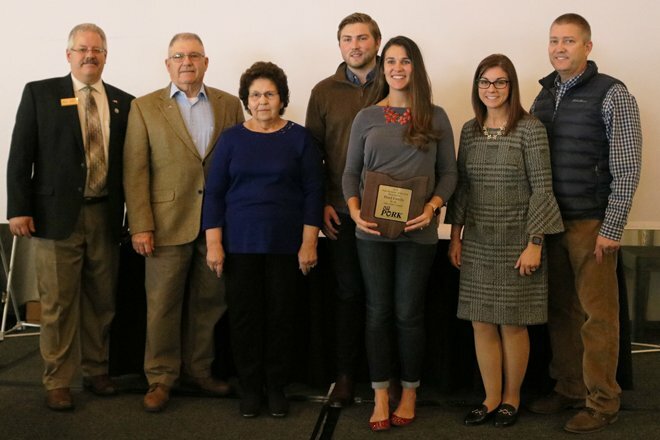 At yesterday’s Ohio Pork Congress Luncheon some of those individuals were recognized for their service with the presentation of the Swine Manager of the Year, Ohio Pork Council Service, Pork Promoter of the Year, Friends of Ohio Pork and Ohio Pork Industry Excellence awards. President Dave Shoup and Nathan Isler. Nathan oversees the sows and three full time employees in the sow barn for Isler Genetics. 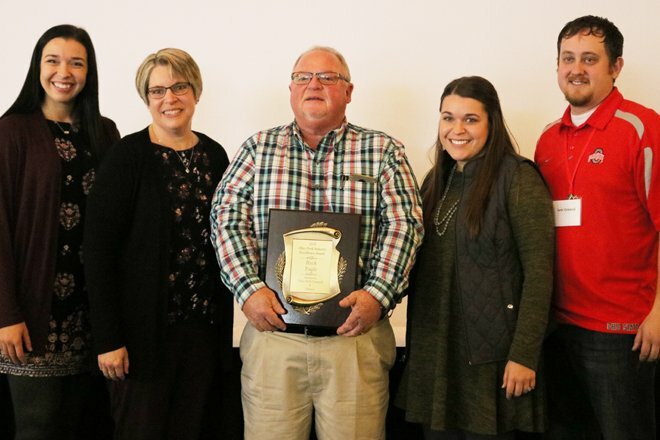 The OPC Service Award recognizes an individual who demonstrates outstanding commitment and contribution to the pork industry. 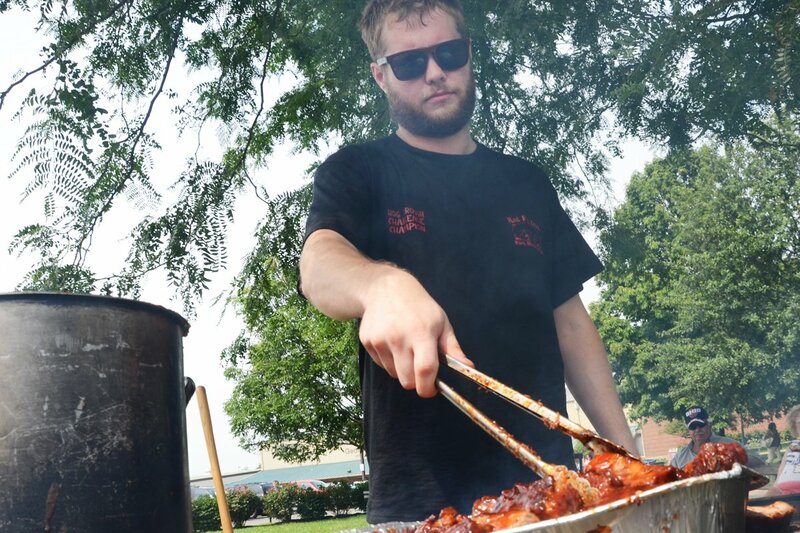 Carl Link has served the Ohio Pork Industry at the local, state and national levels, including service on the 15-member National Pork Board. Link is a Production Manager at Cooper Farms. 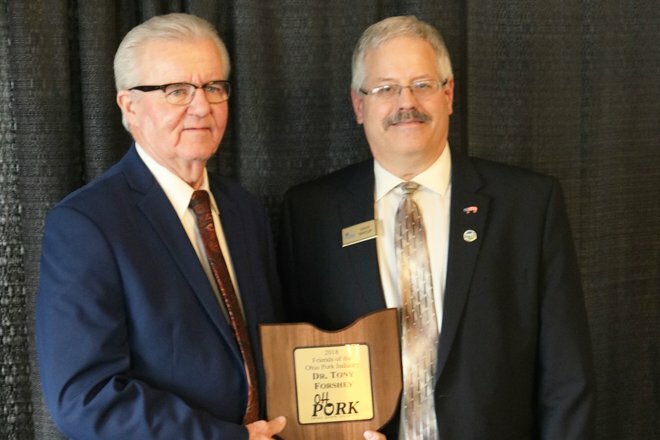 This year, the Friend of Ohio Pork Industry award was presented to Dr. Forshey for his extensive efforts protection Ohio’s hogs and making a substantial impact on the Ohio pork industry. OPC president Dave Shoup presents the award to Duane, Inez, Phil, Becca, Janel and Pat Hord. 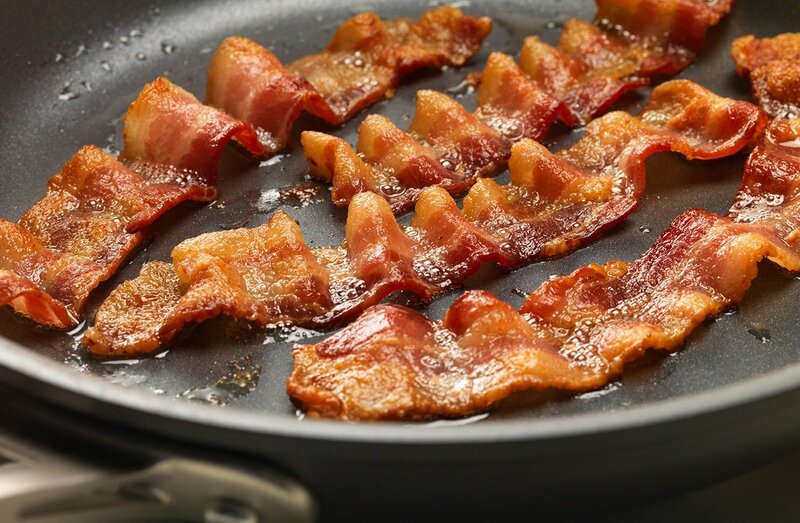 Each year, an individual or organization is recognized for their efforts to promote pork and the pork industry. The Pork Promoter of the Year Award is sponsored by Ohio’s Country Journal. The Hord family’s farming roots date to 1905 when Guy L. Hord purchased a tract of land that remains a part of the Hord Family heritage. 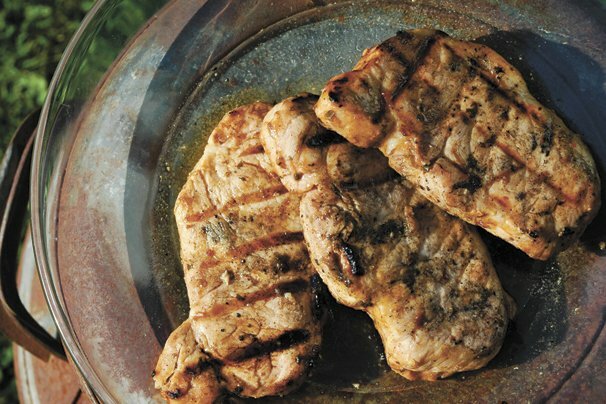 Today Hord Family Farms continues to utilize the latest technologies and animal husbandry practices, and are dedicated to ensuring production of quality grain and protein products that you’d feel comfortable feeding your family. The Hord family participates in virtual field trips and on-farm tours, as well as supporting the state fair pork stand with volunteers. In addition to their farming operation, the Hord family developed Hord Cares to give back to the communities they live and work in. Hord Cares is supported by the Hord family, as well as their team members by holding several fundraising efforts year-round. 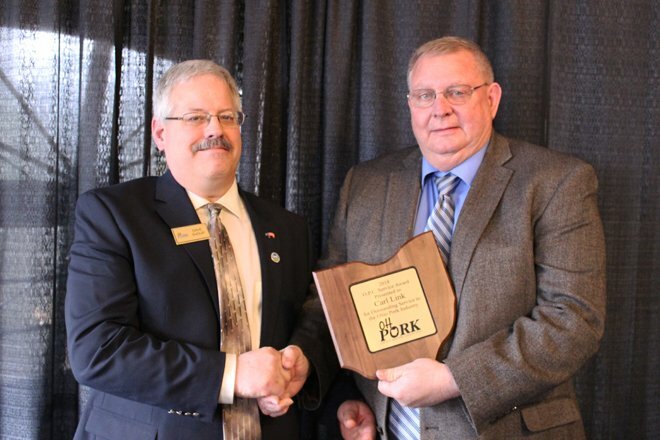 The Pork Industry Excellence Award is the highest form of recognition presented by the Ohio Pork Council. This award recognizes an individual in Ohio for their unparalleled contributions to our industry. 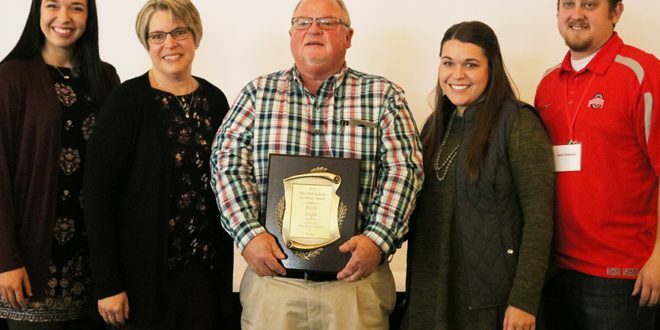 Rick Fogle and his Isla Grande Farms was recognized for promoting pork and the swine industry on a local, state and national level. 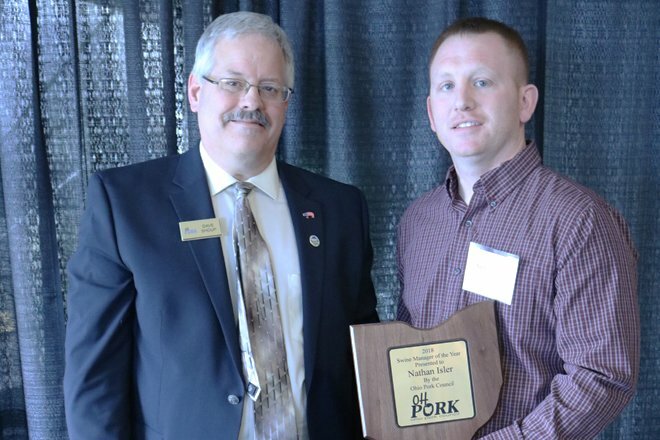 The award is given by the Ohio Pork Council and is sponsored by Elanco.